The Appeal court sitting in Ado Ekiti, Ekiti State on Wednesday affirmed the election of Governor Ayodele Fayose’s loyalist, Barrister Gboyega Oguntuase-led executive as the authentic leaders of the Peoples Democratic Party in Ekiti State. The court quashed the earlier judgement given by Justice Taiwo Taiwo of the Federal High Court in Ado Ekiti, which confirmed Chief Williams Ajayi-led faction as the validly elected State Working Committee of the party. Factional crisis hit the party following the state congress of March 9, 2017, as two parallel executives emerged from the congress, with both Oguntuase and Chief Williams Ajayi laying claim to the chairmanship seat. The court had last year declared Ajayi, a loyalist of the Senator representing Ogun East, Buruji Kashamu, the validly elected chairman at the party’s State Congress conducted on March 9, 2017. Sequel to that, Oguntuase had approached the Appellate court to set aside the earlier judgement. Oguntuase, through his lawyer, Obafemi Adewale averred that the court acted ultra vires by poke-nosing into internal affairs of the party, contrary to Supreme Court that every party can regulate itself. Delivering his judgement, the three-man appeal justices, led by Justice Ahmed Belgore, agreed with the position canvassed by the appellant, saying the PDP has the power to regulate itself. Belgore said the lower court didn’t take into cognizance the Supreme Court judgement which had earlier described the Senator Ahmed Makarfi-led Caretaker Committee to superintend over the party for over a year as a legal and legitimate body. makes whatever they do at this state level legal. “The lower court didn’t even take into cognizance the issue of jurisdiction raised by the defendants (PDP and Oguntuase) that the court lacks the jurisdiction to entertain the suit in the first instance, rather than considered this, the Judge went ahead and delivered his judgement. without interference , was valid. “We hereby set aside the judgement of the lower court in this regard”, the court stated. to produce the party’s candidate for the July 14 governorship poll, the court said “That is the internal mechanism of a party, no court can meddle in that”, Justice Belogore added. Responding, counsel to the appellant, Adewale said: “We have never had factions in PDP Ekiti State, PDP here has always been one. “The judgement at the appeal court has reaffirmed that there is only one PDP executives in Ekiti and that is headed by Barrister Oguntuase. “The court has set out clearly that the process that produced them is legal and the people who are challenging the executives have no platform in law. 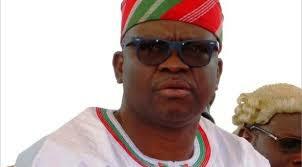 “All the document that the Williams Ajayi group brought were all not signed or authenticated. And the court has said that it would not give credence to such papers because, they are all mere pieces of paper not authentic documents. “The court has reaffirmed the position of the Supreme court that the court has no business with matters that have to do with internal affairs of the party. The court cannot choose leaders or candidates for our party. “We have to appreciate our judiciary for standing on the path of consistency and for also appreciating the urgency in determining this matter. The Appeal was argued on Monday and judgement delivered today. It is not a judgement you would say they just write something. “All our citizens that are participating in politics should learn from this judgement that parties are supreme in their internal affairs”, he said.